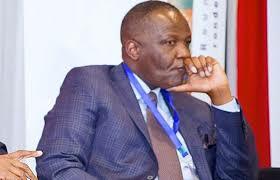 The World Bank has advised Finance Minister Felix Mutati to be consistent in his fiscal policies. World Bank lead economist Willem Janssen told Mutati today that everybody was complaining about the inconsistencies in fiscal policies which were changing every year. year and like that the next year so Minister Mutati you will do your country a big favour if you stick to the policies you have announced today,’ Janssen told Mutati. He further told Mutati to rethink his government policy on economic recovery and adhere to the pronouncements made if Zambia is to significantly rebound economically. And the World Bank further notes that there is no improvement in Zambia’s fiscal indicators despite the interventions put in place by government aimed at supporting economic recovery in 2017. It further states that it will be difficult for Zambia to go back to the levels of 7 percent economic growth in the near future.